If you’ve been reading up on current home and entertainment trends lately, you’ve most likely heard of the KonMari method. If not, let me summarize it for you. The KonMari method is a lifestyle brand, founded by organizing consultant Marie Kondo, inspiring people to choose joy and tidy up their spaces. The basics of this method is to take out all your stuff, from closets, shelves, drawers, everywhere, and get rid of whatever doesn't "spark joy," and then put the stuff you're keeping back using one of her folding or stacking tutorials. The Netflix debut of Tidying Up with Marie Kondo aired this past January. 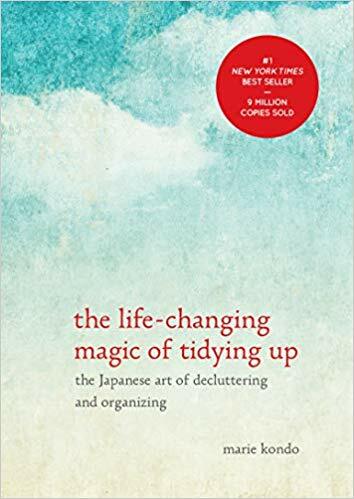 It’s an in-home and reality series that follows her 2014 book The Life-Changing Magic of Tidying Up. Since then, the KonMari method has taken off and lifestyle and home décor sites have shared tips and tricks for decorating and decluttering your living space. But what if your living space changes with every travel assignment? While you're out there, switching up your medical traveler jobs every few months, one would think a you wouldn’t accumulate so much “stuff” right? It turns out, there’s a lot of wisdom a medical traveler can garner from the KonMari method. That’s right… it’s time to KonMari your travel life! When you work in healthcare, LTC RN travel, or as a nurse traveler, you probably have scrubs on scrubs on scrubs. You’re not in the industry where you’re rockin’ a suit or a dress, or even jeans to work, so your big project when you're getting ready to hit the road is to pack the necessities. And those necessities include scrubs. On average, a person working in healthcare owns 3 sets of scrubs. If you’re not much for laundry, bumping that number up to 6 or 7 sets might be helpful and incur less stress. Now, it’s true that in terms of expressing your style, your scrubs might not “bring you joy” but they do help you bring in the money and keep your job. So, there's that. Declutter this. If you’ve stockpiled a small army of scrub tops and bottoms, take them all out of their hiding spaces and pile ‘em up on your bed. Go through them one by one and make a pile of damaged, ill-fitting or stained scrubs. Make sure at the end of your decluttering journey that you have FULL SETS and not just a huge pile of all tops or all bottoms to keep. Make note of what to repurchase, if necessary, in order to make your sets complete. Now what? If you’ve seen any of Marie Kondo’s methods for folding and tidying, you already know that there is a specific way to fold and display your clothing. 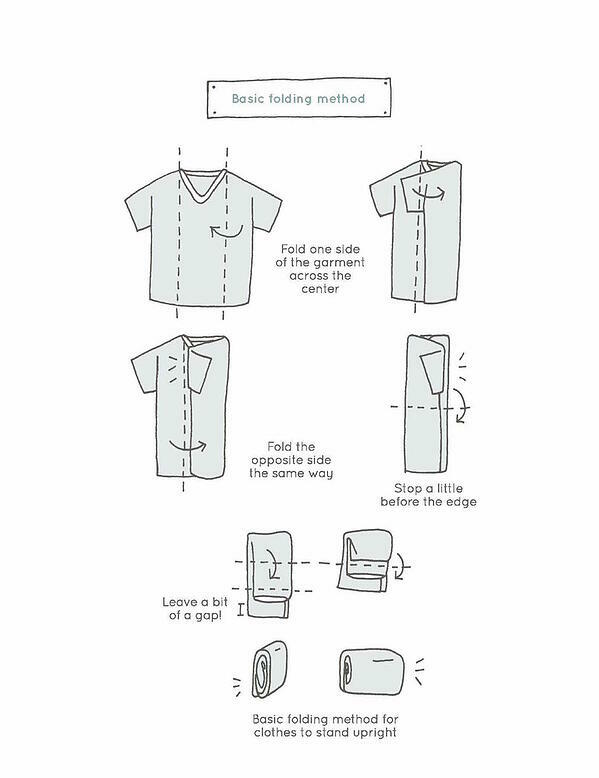 The main tip for your shirts is that you fold them in thirds lengthwise, then thirds widthwise, leaving a little bit at the bottom to tuck up. 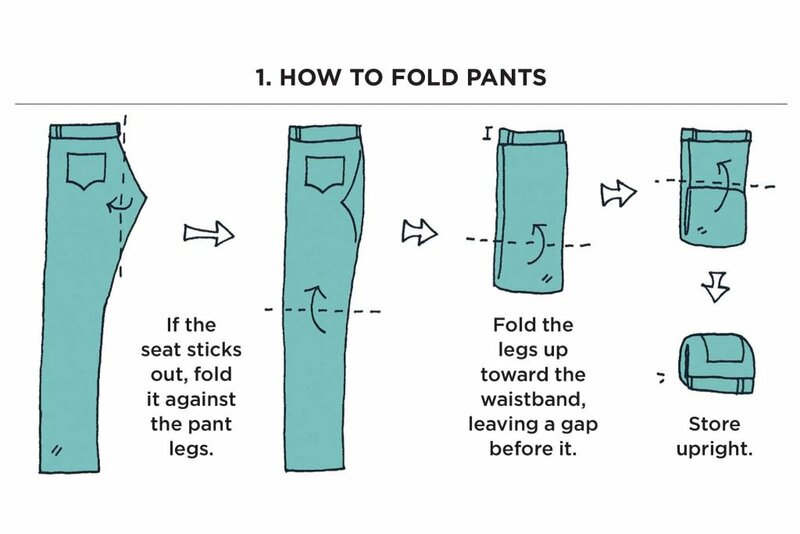 For pants, fold them in half (seat pockets facing out) lengthwise and then half and half again. Some people scoff at the folding technique, but it really does save space, look a lot more organized, and it helps you find your scrub top or bottom instantly. Extend this folding method to your other clothing items and you could really sparkle up your wardrobe fast! We all have odds and ends that have no real "home" in our space. Sometimes it's called the ever-clever... JUNK DRAWER. And guess what! It's fine to allow yourself one of these. Do you have a bunch of stuff you can't throw away from your travel assignment? Maybe you have a fun collection of pens from each hospital you've worked at. Confession time: I have a catch-all keychain. It's literally just a ring of keys from family members, friends, old house and apartment keys that I've never gotten rid of... Honestly, I look like an undercover janitor, and several people have asked about it and why I haven't just thrown them away. Look, you're never going to simplify and corral all those pens, stickers, or grocery store membership cards, so keep your junk that's not really junk, and organize it from within. How about with some tiny boxes, or shoeboxes? Marie Kondo is all about the boxes. She is so into boxes, she has her very own line of storage boxes that have hit the shelves. They are currently sold out, because there are apparently other people out there just as fanatical about boxes too. But don't worry, there are other articles offering alternatives to the adorable, fun printed KonMari box line. So what's all the fuss about a simple shoebox? Declutter this... no, wait. Re-clutter this. There was once a time in the chaos and madness of finding more closet space that I tossed out dozens of perfectly great shoeboxes. My thought: Why keep them? My shoes aren’t staying in them and the boxes just take up space! Looking back, I am certainly having a facepalm, Homer Simpson “Doh!” moment. Because… shoeboxes are actually the perfect tool to keeping things organized. Loose odds and ends that have no real home? Put ‘em in a shoebox. Socks gone rogue? Shoebox ‘em. They're the perfect size for all the little stuff you never think about but ends up becoming clutter. Plus, they are so easily transportable, either filled up with items already, or stacked together to be used later. Needless to say, I am not a traveler. I work in medical staffing, and I certainly didn't understand the value of housing all your belongings in shoeboxes the way some dedicated "neat freaks" do. So, if you’re me and you don’t think ahead and you carelessly tossed all your shoeboxes once upon a time, it’s still okay! You can hit up a Container Store or your local Target for some shoebox-sized storage bins and all is right with the organizing world again. Now what? 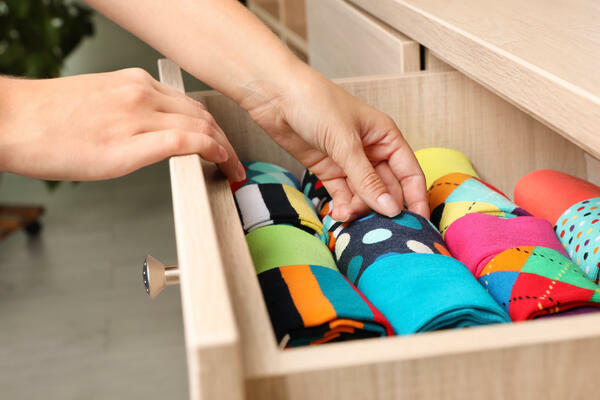 Marie Kondo suggests storing things like underwear, scarves, ties, jewelry, and anything in a drawer that houses multiple items. So, like with your designated junk drawer, if your chapstick, keys, and loose change are chillin’ in the same drawer and your jewelry, use a few boxes to keep the items separated and organized. If you’re a t-shirt junkie, you can organize them with rows of shoeboxes to keep your faves within reach. Small tasks are much easier than big overhauls. Your lifestyle is busy, right? You're a medical traveler, so between balancing your work with your travel and home life, you don’t really want to spend free time cleaning and decluttering all the time. You’d rather be out exploring your city or even just relaxing with a pizza on the couch. Here’s an idea to make this all easier on yourself: Make small tasks part of your travel ritual. Before each assignment, use the KonMari method on one aspect of your permanent home. Extra points if it will benefit your travel life too. Is it clothing? Is it your linen closet? How about that weird cabinet under your sink where cleaning products go to die? If you do this method at the beginning of each assignment you take, you'll cycle in a lifestyle of organization, and keeping your space tidy and clean becomes much easier. Bonus: you’ll have a lot more down time to start living your best life. Expect this method to extend beyond your things. While you often get a big satisfaction thrill of organizing or decluttering your space, there’s a reason the KonMari method is a lifestyle. 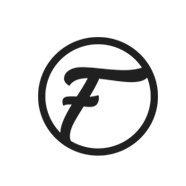 Once you’ve tidied up your stuff, your life seems to get more streamlined too. Decisions become easier, pursuing projects and career goals become clearer, and having an adventure becomes more freeing. As your life path gets a little more purposeful, you begin to “spark joy” within yourself. If even the thought of trying to organize your life and your things gets overwhelming, keep in mind that it’s so worth it! Pairing your travel lifestyle with doing things the KonMari way can benefit you by forcing you to pack only the necessities. It gives you the opportunity to see if and what you really miss having around while you’re away from a more permanent home. You can ask yourself, “Did I really need to bring that 1987 David Bowie tour mug?” or, “Do I really need to pack 25 t-shirts next time?” By experiencing firsthand what you are missing (or not missing) you can slowly begin to declutter other aspects of your life. Less clutter. Less stress. A lot more memories to make and things to experience.